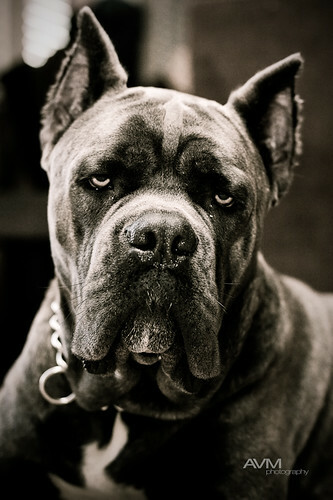 He's an Italian Mastiff (also known as a Cane Corso) and is such an incredibly beautiful dog! It's almost startling when you first see him. He's intimidatingly big and strong yet so elegant and regal in stature. I want one!!! If the eyes are the reflection of one's soul, and the lens an extension of one's eyes, than I've bared mine to the world a thousand times over!